Hertenbosch Veluwe, reddeer and other nature. Dear visitor, untill now the homepage is the only translated page on my website, so at least you can understand a bit more what it's about. Welcome to my website Hertenbosch, where you can see atmospheric videos and pictures about nature on the Veluwe. The Veluwe is the largest nature area in the heart of the Netherlands. Besides reddeer, roe and wild boar you can see other wildlife, plants, mushrooms and beautiful landscapes. I would like to show you the best side of the Veluwe and let you taste the atmosphere of this typical area. Let's be careful with the largest uninterrupted nature area of western Europe! 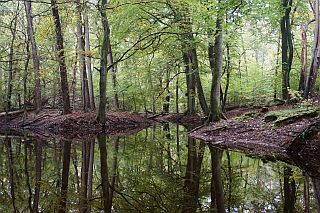 At the northwest Veluwe you will find the Leuvenum forest, a natural area of 837 acres and is owned by Natuurmonumenten. Together with surrounding nature reserves, like some shifting sands, it forms an area of 3500 acres. A certain area in the Leuvenum forest is on an old map defined as Hertenbosch, which means deer forest. In this area i took my first video from a reddeer, therefore the name of my site. All other videos and pictures are to a large part created in the Leuvenum forest and surroundings. Here you can see the latest video. What's so special about the atmosphere of the Veluwe? Old erratic pine, mighty beech and oak, the smell of the sandy soil, a hidden small farm, silence, mist above the heath at sunrise, a traversing deer, wandering through the forest without anyone to come, the call of a black woodpecker, an encounter with a wild boar, etc. It's hard to explain, it's more of a feeling, you have to experience it yourself. 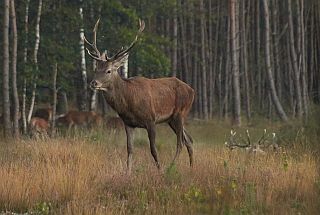 Reddeer, roe, wild boar, fox, badger, pine marten and sand lizard are just some of the species you may encounter on the Veluwe. It remains a surprise every time if you will come face to face with these animals. In most cases, they have seen you already before you have spotted them yourself and you might only see a fleeing animal. The best thing you can do is wait and see, but this requires some patience. Almost all of my videos are simply filmed from a hiking trail, so it's possible for everywhone to see the wildlife. Don't expect it will be easy, the moments will be sparingly. 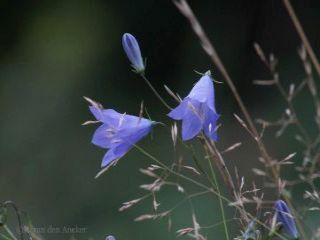 Who has an eye for the flora on the Veluwe can discover beautiful and unusual plants, trees and shrubs. A large part of the Veluwe consists of poor sandy soil, but there also are wetter parts. Just think of the Veluwemeer coast, along streams and springs and wet heath for example. These different conditions provide a variety of wild plants.